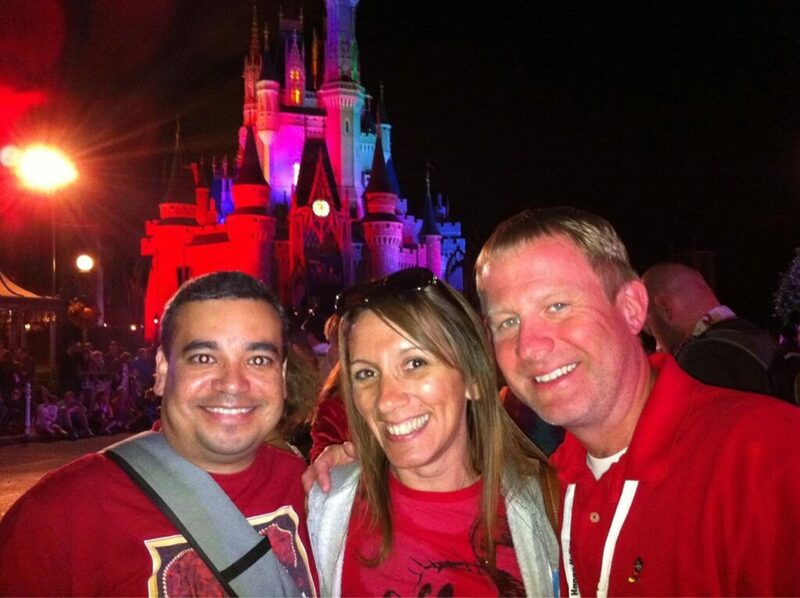 Marc A., NDU 6, had trouble finding people who understood & appreciated his love for Disney. 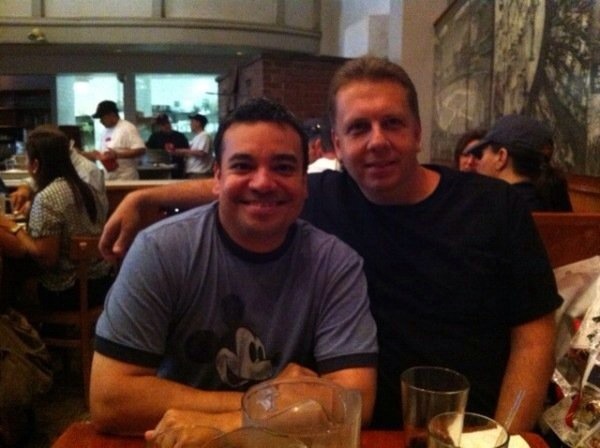 Through social media, Marc was able to make those connections with other Neurotic Disney People & create wonderful friendships & memories along the way. What makes you an NDP? Have a story to share? 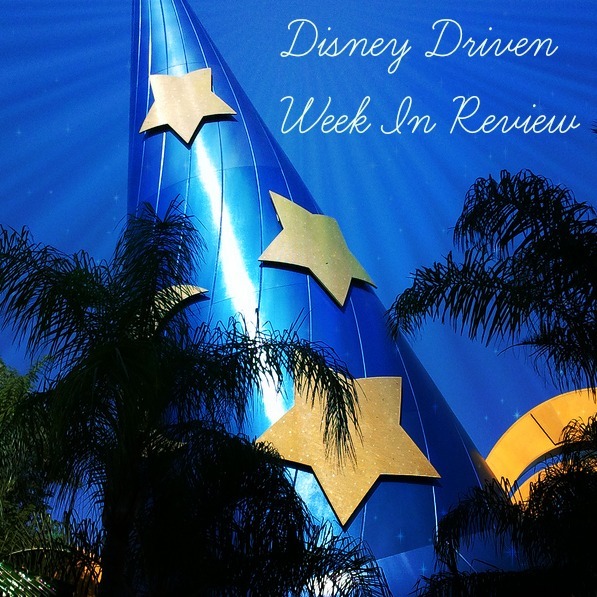 Have your own Disney Fan Site or Podcast you want to share with the community? Send it to ndm130 AT thedisneydrivenlife DOT com. 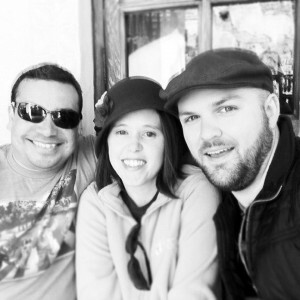 We just might feature your story here on Sharing Saturdays. How many times has this happened to you? You announce to the world that you’re visiting a Disney Park and this is the response you get. “Again? Weren’t you just there?” Over the years I’ve heard this from family, friends, and co-workers. I had this love for Disney but no one in my personal life to share it with or appreciate it. I joined forums like The DIS, Passporters, and DVCNews. It helped but I was using those forums more for a source of information than anything else. Then came along social media and it changed by life. Now you have to understand, I did not jump on the social media bandwagon right away. When MySpace was all the rage, I had no interest. It took some prodding from one of my nieces to join. In the beginning it was just a fun way of keeping in touch with family and friends. But then I wondered, how can I use MySpace to help me with my lack of Disney friends. Then I discovered that MySpace had Groups. So I started my quest to find fellow Neurotic Disney People. A term that I would discover a few years later. Here’s where the story becomes quite embarrassing. But hey, we’re all Disney friends, right? I started to search on MySpace for any groups that were Disney related. Once I found them, I just scrolled through the members and basically just looked at people’s profile pictures. Even though these were Disney groups, it’s still the internet. You still have to be careful. If someone looked like a “good egg”, I would send them a friend request along with a message. Back then you were able to send a friend request and a message simultaneously. In my message I would introduce myself and say that I was a fellow Disney fan and if that person was interested, I would love for them to add me. Sounds crazy I know. Here I am sending numerous friend requests to complete strangers. But it worked. I began to build a pretty significant friends list and they were all Disney fans. I finally had people to share my love of Disney with and they just got it. They got me. We talked about Disney movies, past and future trips to Walt Disney World and/or Disneyland, favorite Disney attractions. I was in Disney heaven. Over time MySpace’s popularity started to nosedive and everyone was talking about Facebook. Again, I didn’t jump in right away. Did I really want to start all over again on another social media site? What about all the hard work I put into making my MySpace page just the way I wanted it with the background and the music that automatically played when you visited my page? Eventually I gave in and joined Facebook. Many of my MySpace friends carried over and through mutual friends, I began to build a significant Friends List again. But just when I was getting used to Facebook, along came the game changer…..Twitter. To be honest, when I first joined Twitter in May 2009, I didn’t get. I tried it for a few weeks and then basically gave up on it. Then more and more of my Facebook friends started to say how much they loved it. So I thought, I must be missing out on something, let’s give it another try. Thankfully I did. As with MySpace and Facebook, I got the hang of Twitter. My followers started to slowly grow as well as the number of people I was following. Follow Fridays were a huge help. On Fridays, people would suggest other Disney people to follow. I was meeting new people every week. Now on Twitter, something happened that never happened to me on MySpace or Facebook. People actually wanted to start meeting each other in person. Gulp! What? Excuse me? Wait a minute. You actually want to meet me? In person? Oh boy. 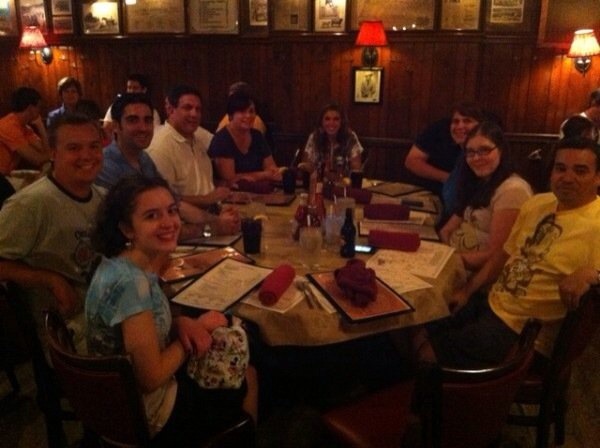 People who lived in close proximity to each other wanted to plan get-togethers (Tweet Ups). The first time I was invited to one, I was so nervous. Yes people like me online, but will they like me in person? What will I say? I decided to throw caution to the wind and go to a tweet up. 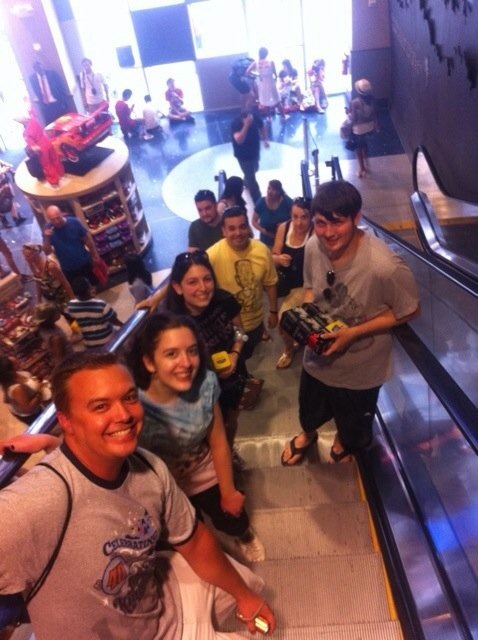 So one summer day I met up with people from Twitter at the Disney Store in Times Square in NYC. I was so nervous on the train ride into Manhattan but I’m so glad I did it. I had so much fun meeting and talking with fellow Disney fans in person and not online. 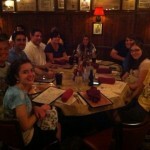 After our visit to the Disney Store, we all went out to dinner. It was wonderful. I felt like I had known these people for years even though we had just met. The experience was so positive, I started meeting up with people at Disney Parks and D23 events. Also thanks to Twitter, I started something I never thought I would…running. I saw all these people on Twitter posting about running races at the Disney Parks through runDisney. It looked like fun and was so inspiring, I decided to give it a try. 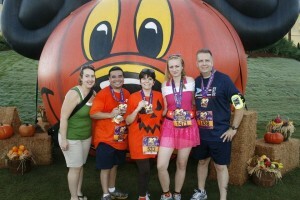 So I did my first runDisney race in the Fall of 2012 and have been running races every since. 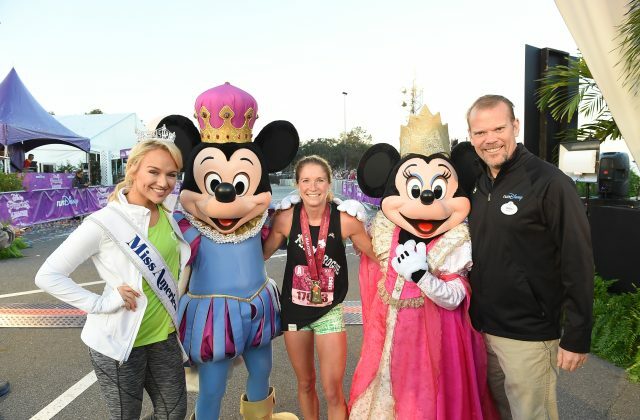 I was never someone who was into athletics, so discovering runDisney has brought even more people into my life that I most likely never would have met or crossed paths with. Social media not only brought amazing people into my life but new experiences as well. It has and continues to help me live a Disney Driven Life. I know that my feelings are the same as yours and the whole social media trying to connect to others in the beginning was scary, but I so wanted to belong somewhere that others understood, accepted me for this passion of Disney I had, it was more then just Mickey mouse, the parks, the events it was this unit of my soul that I found a place of peace, belonging and through that I met you and many others and I tell you there were so many times you inspired me, the Uncle that was dedicated to his nieces and supporting their cause, in you I saw just a humble, honest person and it had me realizing that their are good people in this world! and it touched my heart when my Ms R met you and she just feel in love with you and you became an Uncle she has not had in her life, through these yrs she has grown into her teens and she still speaks of you as Uncle Marky, Marc! I am so grateful in these 5-6yrs that you and others are a presence in my life! I know we may not speak all the time, but through the social media, I love that I can check and see how those in my life that I care about (behind the scenes) is doing! Shelley, thank you for leaving this wonderful comment. I so appreciate your friendship and feel privileged to have you and your family in my life.